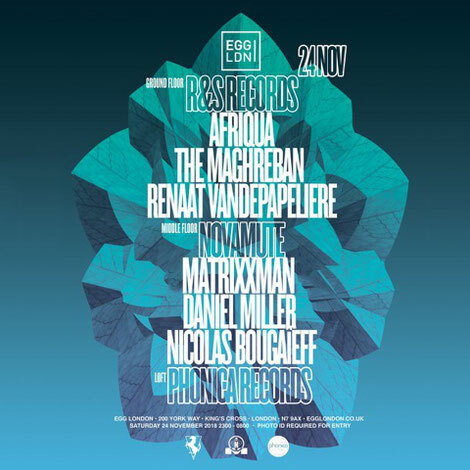 After their first showcase back in July, R&S Records return to Egg LDN alongside NovaMute and Phonica tomorrow, 24 November. 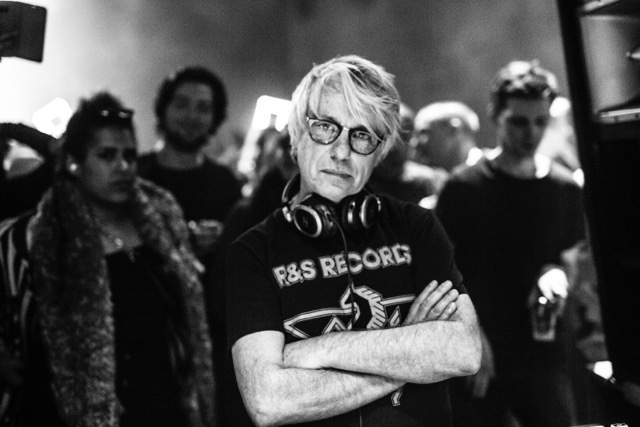 The party will feature R&S co-founder Renaat Vandepapeliere again and two producers from the imprint, Afriqua and The Maghreban, each of whom have apparently made a significant mark on the label recently. Having released his breakthrough ‘Aleph’ on R&S last year, the approach behind Afriqua’s music to weave deep samples into spacey sonic tapestries - whilst honouring black heritage at the same time - was something that quickly caught the attention of Vandepapeliere, pushing Afriqua’s sound further into the European soundscape. The Maghreban demonstrates what R&S Records is all about - storied productions from pioneered outsiders. With his dusky grooves and bass-heavy tracks, he aims to bring a distinct tone to the showcase. Described as Mute’s ‘tough nut son’, NovaMute returns with label founder Daniel Miller, Matrixxman and Nicolas Bougaïeff. Making his Egg LDN debut is Matrixxman. Inspired by the spiralling advances of modern technology and the inner workings of artificial intelligence, the San Franciscan brings his sound of dystopian techno to the club for a thorough workout on the KV2 sound system. Berlin-based Nicolas Bougaïeff has had a strong presence on NovaMute since he relaunched the label last year with his ‘Cognitive Resonance’ 12” and brings his sci-fi inspired cuts to the Middle Floor for his second set at the club. Phonica Records complete the bill with a broad range of selectors from the store to head up the Loft, including Miles Russell, Alex Egan as well as resident and Phonica affiliate, Luther Vine.